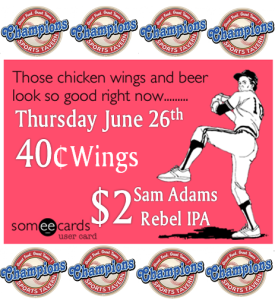 40 Cent Wing Special!!! Thursday June 26th!!! 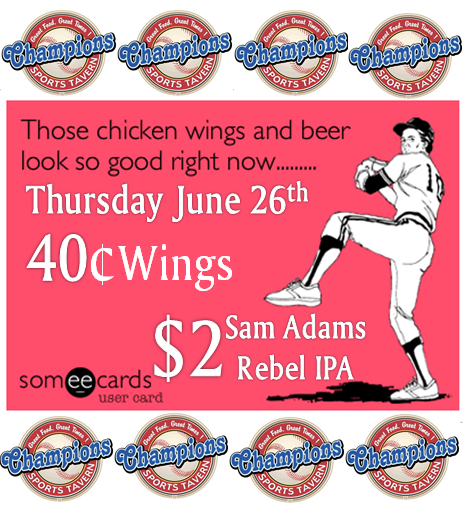 Only at Champions Sports Tavern!! !